Aunie Sauce: ...And now this one is for THE guy. Remember that typical "date night" ensemble I told you about on Wednesday? 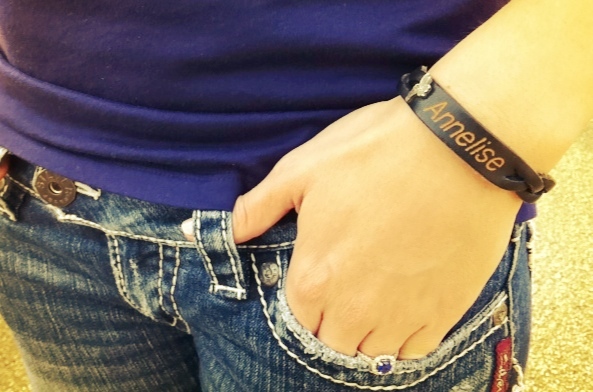 V-neck tee, jeans, Chucks, a simple necklace, a throwback Disneyworld bracelet, and a ponytail. I love the feel of the sun warming my back as the encroaching season brings a chill to the air. It won't be long here before t-shirts and hole-spotted jeans will be swapped for sweaters and scarves. the warm cup of tea and color-changing leaves yesterday just about changed my mind. the quicker it comes, the better. P.S. I'm beyond in love with that necklace!!! And you have the cuutest clothes! You pull off casual well! I love how you can make a simple tee and jeans look amazing! That necklace is awesome. 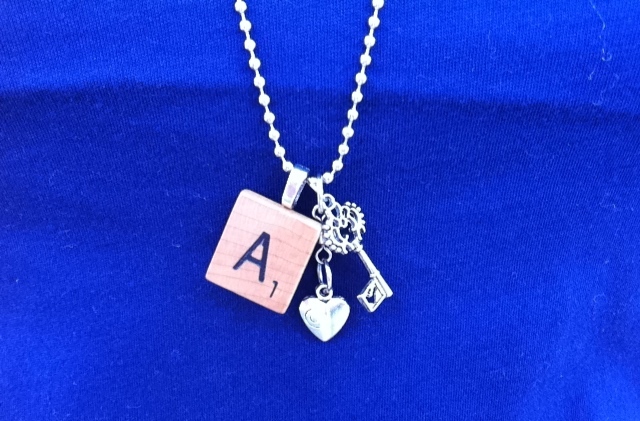 I love the scrabble charm! looove your jeans and your converse! I am with you on this outfit girl! This is totally what I would wear too. I'm all for being comfortable and able to be myself while on a date (although the only guy I ever dated was my hubby LOL) but still its true! Hoping the time goes by fast for you so that Daniel will be home and you guys can have your saucy wedding!!! eeeekkk!!! That is the PERFECT date night outfit! Our men love us for us, whether it be jeans and a tee or heels and a skirt. Being loved for who we are the what counts. Okay, done being sappy now! Have a great weekend! I'm right there with you. I soaked up every last ounce of summer and the indian summer that followed. But, now fall is here to stay and over the last few weeks I've actually started to enjoy it! Can't wait to hear about Daniel's return! This is totally me! I love this outfit. I especially love that Scrabble tile necklace! Aunie, you're so cute! You'd even be gorgeous wrapped in a trash bag. You can do no wrong. That used to be my go to outfit for everything when the honey & I first started dating. Now I'm what he calls a "girly-girl" with all my dresses and cute cardigans. You are so cute in your converse! Love your date night look! I really love your blog! So down to earth and readable. Keep it up hunny! That is dressing up for me!! You look awesome. You look so cute! 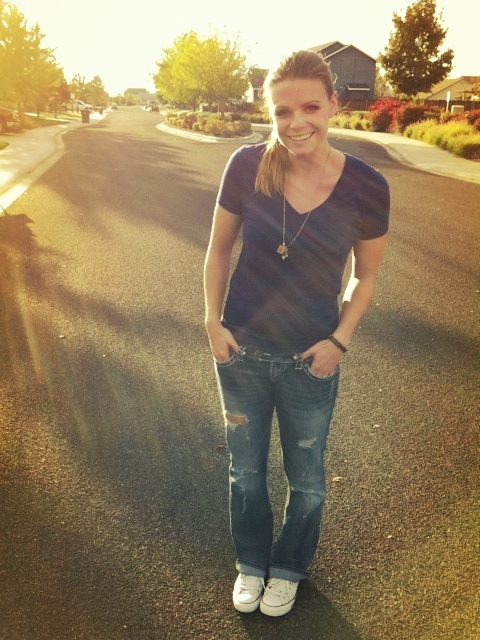 Likin' the jeans and necklace! I am a scrabble master! hahaha. oh... what happened to the link up?